Home › Easter Chocs for all! White, milk, dark and even moo-free! The Easter Bunny has delivered beautiful handmade chocolates from local chocolatiers Chappel Chocolate House and Maldon Chocolates. 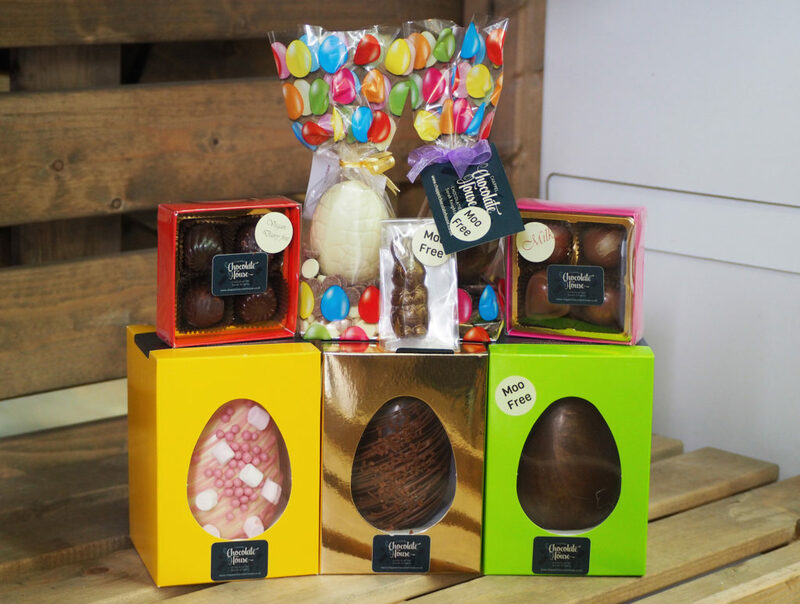 From beautifully decorated eggs to mini moo-free bunnies there is something for every taste plus hand-finished chocolates, Maldon fudge and sweet treats.